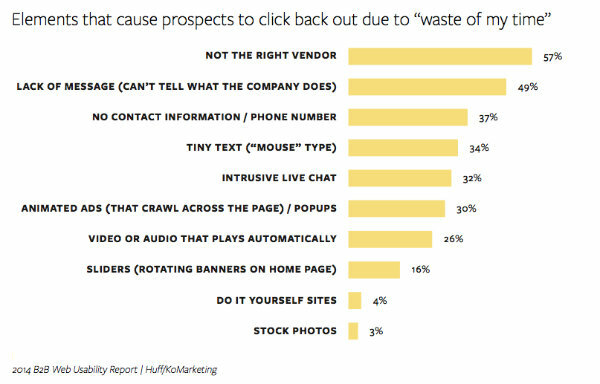 When my colleagues, Derek Edmond and Casie Gillette at KoMarketing Associates, and I first viewed responses from our inaugural 2014 B2B Web Usability Report, we weren’t surprised by some of the results. For example, we already knew and were advocating to our respective clients that B2B buyers need marketing collateral in order to make purchase decisions. And, it wasn’t a shocker that buyers don’t like filling out forms that require them to hand over lots of information. But some of the responses did surprise us — particularly that two types of website content — content that most of us don’t even think about — play a huge role in helping B2B buyers move forward with a vendor. In fact, the lack of this type of content can cause prospective buyers to leave a website annoyed and frustrated — and without making any moves to initiate contact with a vendor. To which content am I referring? Contact information and “About” pages. Simple stuff that all businesses include on their websites, right? Well, not exactly. In his book, Google Semantic Search: Search Engine Optimization (SEO) Techniques That Get Your Company More Traffic, Increase Brand Impact, and Amplify Your Online Presence, author David Amerland discusses the importance of trust and its role in helping Google determine whether to show a company’s website content in its search results — content that others have found valuable and, thus, trustworthy. On the semantic web, says Amerland, where transactions and relationships have become quite visible and transparent, the need to “closely associate your company and brand with trust and a great reputation” is of critical importance. Social media helps brands build this trust through interactions with others, as well as allowing us to propagate our content and build influence — all factors important to semantic search. But, trust isn’t confined to social media. As our survey results show, a company’s lack of social media has minimal impact on the buying process — with only 6 percent stating it has “A Lot” of impact. Given this data the question then becomes, if a B2B company lacks social media activity — and the trust and credibility it can help instill — how does the company build this trust in the minds of potential buyers? In other words, when a buyer comes to a vendor’s website, which elements of the website may help build enough trust or credibility that the potential buyer continues to dig deeper into the website — and ultimately contact the vendor? To get some answers, we asked survey respondents a series of three questions: “What elements cause you to leave a website due to 1) wasting your time; 2) interrupting your train of thought; and 3) reducing a vendor’s credibility?” The answers they gave were surprising. Amazingly (at least to us), 55 percent of respondents overwhelmingly replied that “No Contact Information/Phone Number” reduces a vendor’s credibility, while 37 percent said a lack of contact information wastes their time. In each case, respondents reported that a lack of contact information was so annoying, it has caused them to leave a website. That’s between one-third and one-half of potential buyers leaving — never to return! 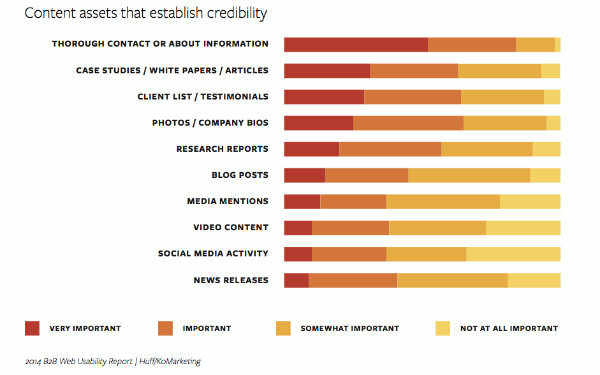 And, while marketing collateral is key with regard to establishing credibility (which is to be expected), so is contact information, with 52 percent of respondents indicating that “Thorough Contact or About Information” is key to establishing a vendor’s credibility — a percentage that surpasses even marketing collateral. Despite this, some B2B companies make it really hard to contact them. We’ve seen companies that force people to fill out forms or make buyers hunt around for phone numbers. For example, one website I looked at placed its contact information on the standard “Contact Us” page, but the link to this page was buried — and I’m talking so buried it took me five passes over the website until I found it. Most buyers won’t go to the lengths that Dave Rigotti did — hunt a vendor down on Twitter in order to contact them. This is not just poor practice, it’s downright crazy! One reason companies may leave off contact information — and instead force people to contact them through a one-size-fits-all form — is because it’s harder to track people when they call or email. By tying a web form to a marketing automation or CRM system, it’s easier to get names into a database and then track subsequent conversations with them. But here’s the thing: Our findings say that the vast majority of buyers prefer to contact vendors through email (81 percent) or phone (58 percent). More importantly, forcing potential buyers to go through a form reduces leads. When asked, “How important are the following items with regard to moving forward with a Request for Proposal/Quote? : Company Address/Contact Information, Product Pricing, Lead or Ship Times, and Product Name,” 68 percent of survey respondents indicated that they consider “Company Address and Contact Information” to be “Critically Important” with regard to moving forward with a vendor. The reality is that buyers source vendors online. Once buyers have a short list of suppliers, they’ll send these names to a purchasing agent or will send out RFQs. If a buyer can’t find the information needed to send out an RFQ, the vendor gets scratched and the buyer moves on — with the vendor never knowing the buyer was on the website or that it was in the running. In short, buyers pre-qualify vendors and suppliers, and they do this using the website content they find. Remove all barriers that get in the way of people contacting your company in whatever way they choose. Include full contact information: Phone, email, and company address in your website content. Reduce clicks by including email and phone information on all pages. If appropriate, enable mobile “tap to call” capabilities. “About” pages are an underutilized website content asset. Too often companies give these pages — team bios, company history, press rooms, etc. — short shrift or view them as being less important than “Products and Services” pages (where they feel the “real” actions take place). Our survey data backs up these assertions. We asked survey participants which information they want to see first when arriving at a vendor website. 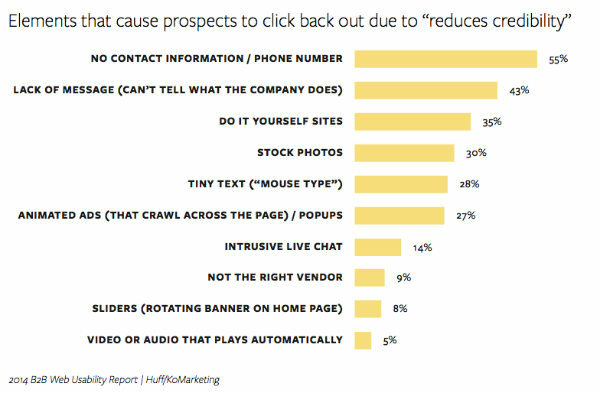 After viewing Products and Services pages, buyers next want to see “About” information. Types of content to include: Given the massive changes taking hold with regard to semantic search and Google’s associated social and knowledge graphs, it pays to consider the strategic importance of the website content you create for these pages — places where the company story is told and branding is reinforced. About pages can showcase a company’s media coverage (e.g., a press room), include references to trade organizations it’s involved with, and give details about its community or industry sponsorships and participation in relevant events. Names associated with photographs help people connect the dots across the internet — from Gmail and search results where we now see people’s Google+ profile pictures, to blog comments and social media platforms. By including social links in people’s bios, it helps Google to “connect the dots” across visitors’ networks — which again helps with the authority, reputation, and trust aspects of semantic search. Include information about the people behind your company. Illustrate team bios with photos, and include links to team members’ social media profiles. Consider the strategic importance of “About” pages: What will help people build trust in your company and want to move forward with you? 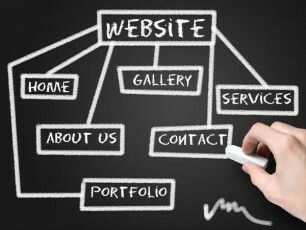 Do you have additional suggestions for creating website content that B2B buyers will find helpful. We’d love for you to share your thoughts in the comments below. Looking for more inspiration on delivering compelling website content? Read CMI’s Content Marketing Playbook: 24 Epic Ideas for Connecting with Your Customers. The founder and president of Huff Industrial Marketing, Inc., Dianna Huff creates and implements thoughtful marketing strategies that help small, family-run industrial manufacturers grow and succeed. She's also the co-author, with Rachel Cunliffe of Cre8d Design, of 101 Ways to Market Your Website, a guide for small business owners, consultants, freelancers -- anyone with a website. You can follow Dianna on Twitter @diannahuff.